Edgar Cayce's legacy to the world is the unique body of knowledge contained in the readings he gave throughout his life to help others. The books listed here, written about the man and his work, have proven themselves over time in showing millions of people the way inward through spiritual growth, holistic health, and meditation. May these books be of as much help for those who seek a compass on the path as they have to so many others before. This classic book will lead you through the physical, mental, and spiritual preparations for success with meditation. Go beyond the fascination with ESP. Learn how it works and how you can develop it to gain guidance for your life. Gain a true understanding of the genesis of souls, what happened in the Garden of Eden, Amilius and Adam, fallen angels, the Yucatan, and mound builders. A guide for anyone who wants to be healed or who would like to serve as a channel of healing for others. Learn how healing energy flows through a person and spiritual principles of healing, techniques for the laying on of hands. An invaluable work based on the Edgar Cayce readings. Includes commentaries on more than fifty ailments from acne to arthritis, kidney stones, ulcers, and more. A theologian examines the validity of sveral Edgar Cayce readings on personal religious experience, Gnosticism, the existence of reincarnation, and Jesus Christ. Based on the Cayce readings, this handbook provides a step-by-step approach to using meditation effectively. Every aspect of our lives is governed by universal laws that promise the potential of a life of prosperity and joy. Learn to use these laws to connect with your higher self, improve finances, and attract loving relationships. Did Jesus have past lives? 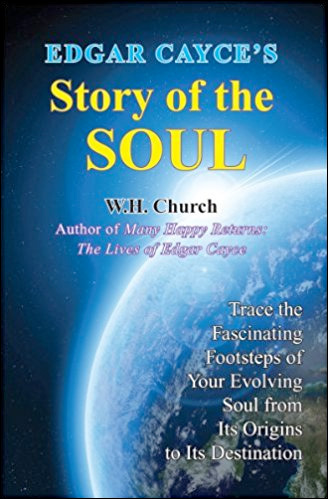 Here is a bold look at how the Edgar Cayce readings, the Bible, and ancient Gnostic, Eastern, and Egyptian religious texts reveal a consistent and intriguing pattern of incarnations of the Master soul. Some of the many lives covered include his lives as Amilius, Adam, Hermes, and Jesus of Nazareth. This classic guide will help you work with your dreams and understand how to interpret symbols. it is a concise, practical handbook on Cayce's psychic readings about dreams. The Book of Life - or the Akashic records - is the storehouse of all information for every individual who has ever lived upon the earth. This major work provides examples of how we can tap into our records - our past lives, our present experiences, and our unfolding futures - and create that destiny. Your life-changing journey into dream interpretation begins here. Learn to preview future events from dreams, to interpret dreams from departed loved ones, to receive messages that will be helpful in your decisions and in your life. The author was recognized internationally as a lecturer on dreams and the Edgar Cayce readings. Hundreds of practical tips for excellent health. Dr. Reilly discusses colds, arthritis and psoriasis, heart health, sexual fulfillment, fat and fatigue, and more. Answers many questions, such as: What happens after death? Does the soul reincarnate? What do dreams of departed loved ones mean? Can we communicate with the dead? Valuable commentaries by Hugh Lynn Cayce and fascinating stories of life with Edgar. A handy companion of Cayce affirmations that you will want to read and share with others. This comprehensive catalog of every food and beverage mentioned in the Cayce readings has over 2,500 entries. Contains an index by food and illness. Dietary advice for everyone on numerous disorders, including obesity, arthritis, cancer, and the common cold. This outstanding reference work contains concise quotes from the Edgar Cayce readings on 264 separate topics, including past and future world conditions, life's purpose, evolution of the soul, reincarnation and karma, religion, the Bible, Jesus Christ, and health and diet. Castor oil was recommended by Edgar Cayce for curing many ailments that resist traditional treatment. Dr. McGarey's book recounts case histories in which he succeeded in employing castor oil packs as a healing agent for a variety of disorders. Includes instructions for use of castor oil packs. This book is the result of an investigation conducted by Edgar Cayce's sons into the readings which gave inaccurate information or no information at all. Read about the circumstances surrounding those readings and what was learned about the limits of Edgar Cayce's power. The Edgar Cayce story is one of the most compelling in inspirational literature. This biography, written by bestselling author Jess Stearn, will hold you spellbound and leave you in wonder at the enduring gift of enlightenment and knowledge left for us by America's most famous mystic. Looking for assistance in discovering the path to self-understanding, and finding what you were born to do in this lifetime? Using techniques described in the Edgar Cayce readings and other paths, Thurston outlines an easy procedure for discovering your soul's purpose. Here are valuable techniques to help you understand the meaning of your dreams. Discover how to use the ideas in your dreams, work with symbols, keep a dream journal, get specific answers to problems, and use your feelings to interpret dreams. Based on concepts from A Search for God, Book II,this valuable text will provide you with practical experiments you can use to test and apply the spiritual principles from the Edgar Cayce readings. For individual or group study.